Magicard has raised the bar. The Rio Pro 360 is everything users love about the original Rio Probut with faster print speed, increased capacity and improved print quality. All powered by the new LYNK onboard intelligence – for ID with an IQ.Available in single or double sided models. Please note, that no ribbon, software or blank plastic cards are supplied with the printer. Would you like to order a single or double sided printer? Would you like to add a print ribbon? Add a print ribbon to your Magicard Rio Pro 360? Would you like to add ID card Design Software? 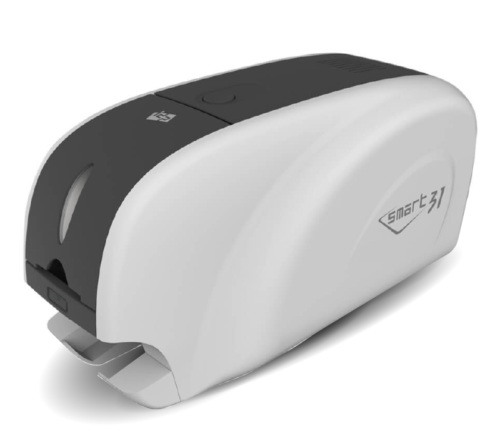 Raising the bar for ID card printers. The Magicard Rio 360 has raised the bar and is everything users love about the original Rio Probut with faster print speed, increased capacity and improved print quality. All powered by the new LYNK onboard intelligence – for ID with an IQ. This is a printer with intelligence. 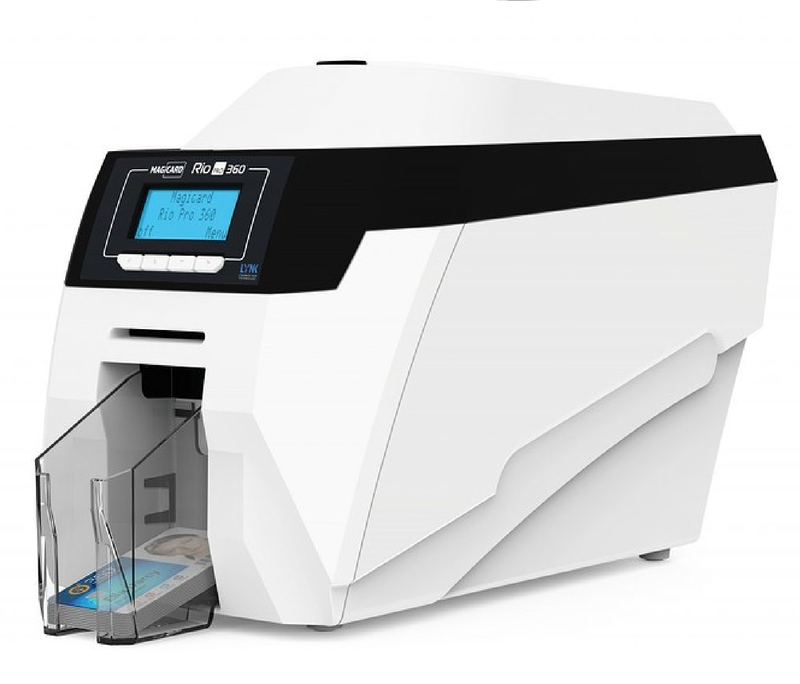 The Rio Pro 360 is the first desktop ID card printer with an embedded Linux-based CPU. This enables seamless communication and the secure processing of ID data – just imagine it’s got a brain onboard. 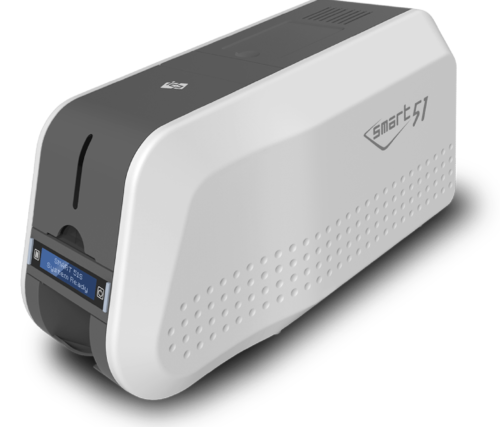 The 360 is Magicard’s fastest printer to date. The new electronics and software platform has enabled significant performance improvements. From the moment you hit print, the 360 instantly gets to work. Full colour cards with HoloKote® print in just 18 seconds click-to-card. The LYNK onboard CPU has a wider colour spectrum to choose from. Printing is even more vibrant and colour rich – which on an ID card means a truer representation of the subject. Like its predecessor, the Rio Pro 360 can print an anti-fraud customised watermark on every card. LYNK now enables the secure online delivery of bespoke HoloKote® watermarks to the printer. Where previously only one design was available per printer, now users can store up to ten. LYNK recognises USB and Ethernet and can easily be integrated with most third-party applications locally or in the cloud. Magicard Rio Pro 360 with UltraCoverPlus – our promise to keep you printing. The fully comprehensive three-year UltraCoverPlus package includes no-quibble printhead cover and a hot-swap loaner service.